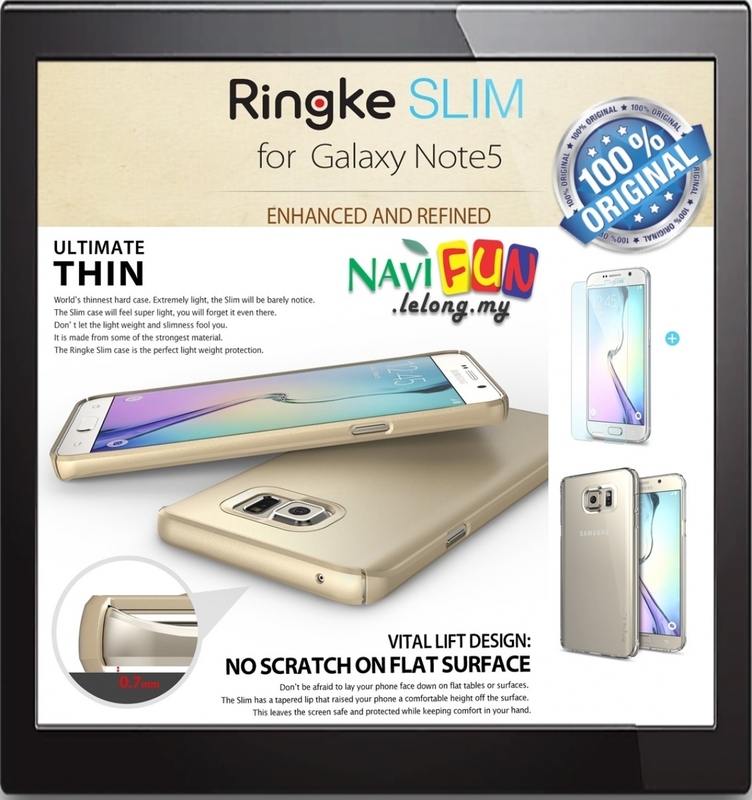 Ringke SLIM has a perfect fitting style with full top and bottom coverage to keep your phone protected while providing comfort in your hand. Ringke SLIM also offers the perfect natural grip design by our original efficiency engineering. With Ringke Slim case, you can push and click every buttons to your phone with no worries. Ultra slim design and light weight keeps the original design of Samsung Galaxy Note 5. Perfect SLIM fit with full top and bottom edge coverage to keep the device safe and protected. Ringke SLIM is designed to raise your phone off the surface with the tapered lip and lifted camera bezel to keep the screen and camera safe and protected. Super-slim and perfect fit design keeps the original look of your device. Ringke SLIM case allows easy access to all the ports and buttons of your device and the smooth edges make your hands comfortable when you push any function keys and buttons. Full top and bottom protection: 4-side corner to corner coverage design with tapered lip and lifted camera bezel raises your phone off the surface to keep the screen safe and protected.